[German]Printer manufacturer Hewlett Packard has released a (new?) firmware update (September 13, 2017) for its Officejet models. After installation, the devices will no longer accept non HP ink cartridges. Here is some information about how to fix this. That’s what I call a déjà vu: Almost exactly one year ago, on September 19, 2016, I had published the blog post HP printer firmware disables refill ink cartridges. After a shitstorm HP and provided a correction firmware for the devices, allowing non HP ink cartridges from third-party suppliers to be used again. There was a new firmware update today for the most popular HP Officejet printer models that prevents the use of alternative cartridges. The same update as exactly one year ago (09/13/2016). This firmware update has been confirmed by more than 50 customers. Also other third party cartridge vendors confirmed that. Our phones doesn’t stop ringing since yesterday morning. After installing the firmware update, non HP ink cartridges are producing the following error message. Vender superpatronen.de wrotes, that 3 of 4 non HP cartriges was accepted, but inserting all four cartridges produces the error message shown above. The US HP support page addresses the issue. HP’s new firmware update seems to force HP’s Dynamic Security Feature to block non HP cartridges. A description of this feature may be found here. But there is a fix. HP provides a new firmware update on its HP support page, that disables HP’s Dynamic Security Feature . Go to HP’s support page and search for a firmware update for your printer model. Download and install the new firmware. After deactivating the Dynamic Security Feature via firmware update, non HP ink cartridges should be accepted again. I’ve been contacted by someone, who claimed, that HP denies that a new firmware has been enrolled. 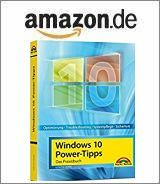 I can’ prove that – but the observation from superpatronen.de, that third party ink cartridges are refused at Sept. 13, 2017, are real. There is also an article here, saying, that HP denies that a new firmware update has been shipped. There are two scenarios that could be happens: Somehow an old firmware update has been released unintially again – or within an existing firmware Sept. 13 triggers again HP’s Dynamic Security Feature to block non HP cartridges. The third scenario, that superpatronen.de is simply wrong seems not too reliable – due to 50 affected customers. If I find out more details, I will add the information here. Addendum: There is now an article at ibtimes.co.uk, citing my blog post and also mentions user posts in HP’s forums. So I searched the Web and came across this post from 09-15-2017. A user claims, that his Office jet pro 8500A refuses third party ink cartridges. An HP Expert says ‘The Officejet 8500 never had the issue with 3rd party ink.’. The user bought some original HP ink cartriges and the printer works. Now the customer has the difficulty, to tell the printer, that he has never been affected by third party ink cartriges ;-). This entry was posted in devices, issue, Update and tagged Dynamic Security Feature, Firmware-Update, HP, Ink-Cartrige, printer. Bookmark the permalink. I have an OfficeJet Pro 8615 which started misbehaving in the last few days. I eventually found the patch on this site: https://support.hp.com/us-en/document/c05308850 and applied it, and did it again to make sure it had taken. As a result, the 3rd party cartridges are no longer identified as such and no warnings are given – but I think the magenta cartridge is not being used properly and it is showing grey in the test print. Just to make sure, I switched it with another new one, and it made no difference. So, like others with a printer that worked perfectly well last week, I have a load of cartridges which are apparently no good to me. Any suggestions appreciated. According to HP, the new firmware should disable HP’s Dynamic Security Feature. Could it be, that the firmware hasn’t been installed properly? Can it be coincidence – test, whether HP’s printer cartridge works – if not, the printer’s chip detection seems to be broken. Hi, I’m sorry to ask here but this is driving me nuts. 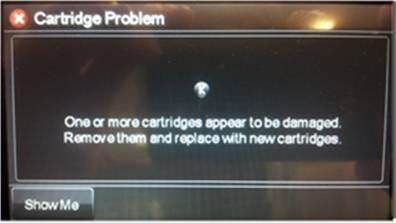 I have an HP Officejet Pro 8600 printer, which suddenly began to display this ‘cartridge appears to be damaged’ message a couple of weeks ago. This printer model appears on the superpatronem list that you quote above, but it does *not* appear in the list of models that have received HP’s updated firmware (those start from 8610 onwards). Does this mean that HP have hung me (and all other 8600 owners) out to dry? Can’t answer this question. The best you can do: By an original set of HP ink cartridges – if it work, check with a new third party ink cartrige. If the 3rd party cartrige is refused, HP have hung you. Is anyone else having a problem to instal HP’s “fixed” firmware? When I try to do it, I can’t tick the box, because the program claims, that my printer is on the current software, but it still does not accept my third party cartriges, that were accepted before the last Update. + The “fixed” firmware from HP has the Version number R1739A, whilst my printer apparently hat R1739AR. Did HP just silently roll out another blocking update??? I’m in the same boat, it won’t let me use this version – thinks it is already up to date. Anyone know how to fix this? HP has apparently taken down the other older versions that did not have this trojan. Did anyone save a download of the older versions? This appears to have happened to my HP Photosmart C4580 printer / scanner. I have not used it to print for a while and replaced the dried out cartridges with some new non HP ones (possibly refilled ones). I did the alignment as requested and then It immediately started to play up, printed 1 x A4 colour picture but then refused and started coming up with various error messages and just stopped working. Changed the cartridges for some empty HP ones and it seems to like them. HP cartidges are silly money so I tend to use refilled or non HP ones. Sometimes I refill them myself. Can HP actually change the firmware in my printer via the USB port or do they do it via the print driver ? The scanner works OK thank goodness. I have the same problem with my Hp Pagewide pro 452dw. I bought it in August 2016 from UK and ordered and fitted a CISS. It worked fine until after almost a year the printhead had a problem. As it was still under warranty I was given a replacement printer. In March 2018 it suddenly rejected the CISS cartridges. The CISS supplier told me that the system was not intended for this printer although the cartridges are the same, because they have not yet managed to overcome HP’s blocking. I understand that in March HP installed a new firmwareno. 1743A on my printer which blocked non-original cartridges. I have read that with the previously blocked printers, after complaints HP released a firmware that did not block cartridges. Is anyone fighting for this to be done for Pagewide printers? I would not have bought this printer if I had known this was going to happen. In Zambia these cartridges are not available and importing them is very expensive, I do a lot of printing for charitable organisations so the cost of ink is critical. Guess what – Sept. 16 2018, and they just did it AGAIN. My printer worked fine last week. Made the mistake of installing a software update today. And now guess what: “There is a problem with the printer or ink system”. Nothing would get it to print. Until I borrowed a friends HP cartridge and guess what – works fine. Nothing wrong with the printer. Just HP’s corporate ethics. Best of all, looks like they changes the error message from the last time just so fewer consumers would clue in. What a scam. What a morally corrupt company. I will personally boycott HP from now on. And encourage all those reading this to do the same – noting that they’ve now made printer ink cost more than human blood, and their profit margins rely on that (literally – google it). Time to hit them where it hurts. #metoo – upgraded Officejet Pro 8600 Plus to newest firmware and ended up with the same problem “There is a problem with the printer or ink system”- – firmware version is 1829A. When changing HP cartridges then it’s no problem. Also, the super secret menu allows you to block automatic firmware updates, so I imagine this will be useful in the future.